What if we told you that a choice between Apple’s iPhone and Android’s myriad Google powered handsets wasn’t needed - you could have both. Why not, right? That’s what manufacturer ESTI thought and is making it a reality. The Eye by ESTI is, essentially, a smartphone case for an iPhone which has a built-in 5-inch AMOLED display and runs the Android 7.1 Nougat operating system. The result is an iPhone in the front and an Android in the back. It even comes with microSD expansion so you can get an extra 256GB of storage on your iPhone too. Plus there’s a 2,800mAh battery to help your iPhone last longer. The case, which is currently on Kickstarter, plugs into the iPhone via the Lightning port for power, data transfer and more. There are two SIM slots in the device so you’ll be able to have up to three phone numbers running at the same time. There’s also a 3.5mm audio jack so you can once again plug headphones into your iPhone. All that and it’ll support Qi wireless charging too. 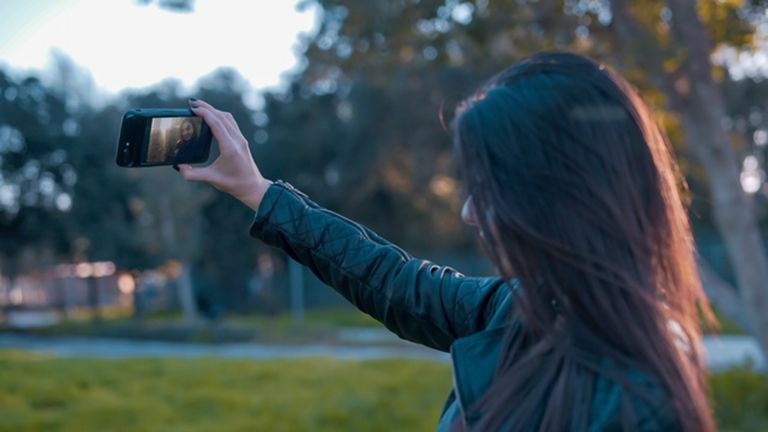 Adding this screen to the rear of an iPhone also allows you to shoot selfies, with the screen showing what you’re snapping, while using the more powerful rear camera. Worth owning it for that alone, right? The ambitious project is smashing its Kickstarter goal and aims to have the unit available for August 2017. These will retail for $189 (£155) but you can back them early on Kickstarter for as little as $95 (£78). The cases will work with iPhone 6 and newer.